Newborn sessions with Sweet Bloom Photography take place in our in-home studio located in Lexington Kentucky. 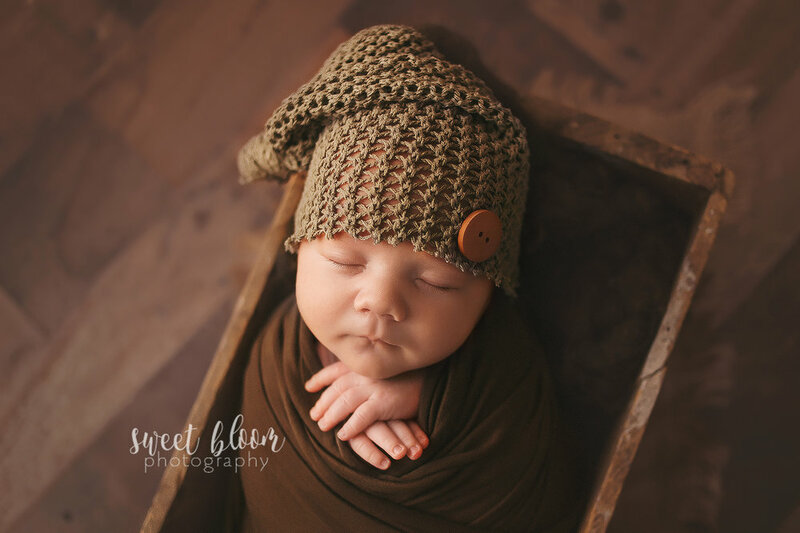 We have everything needed for your newborn session, including hats, headbands, wraps, buckets, bowls, etc. All you have to worry about is bringing your new baby and we will take care of the rest! All newborn clients receive a prep guide that is filled with everything you need to know to help plan for your session. Newborn sessions should take place between 7-21 days old. Since the actual arrival of your baby is usually unpredictable, we hold space on our calendar for around the time you are due - Then, once your baby is born, we will schedule a date/time for the session to take place.